Broadband Technology Report’s Diamond Technology Reviews has recognized InCoax Networks as a Diamond Reward recipient for their new product family called In:xtnd™ in the Active Network Hardware category. 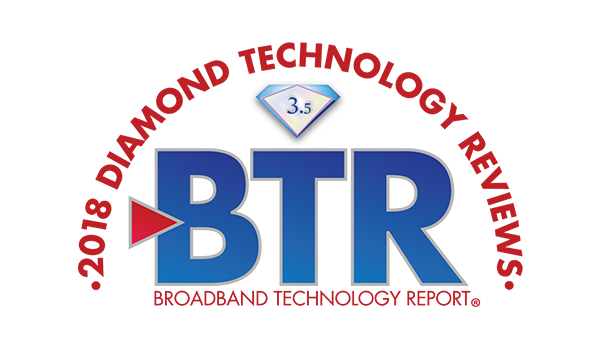 The Diamond Technology Reviews program recognizes the top products and solutions available to the cable industry as determined by an independent panel of judges consisting of executives from operators such as Buckeye, Comcast, Charter, Cox, Mediacom, Rogers, Spectrum and Suddenlink, and well-known industry consultants. In:xtnd is available now and is based on the MoCA Access™ standard. It is capable of 2.5 Gbps net throughput (2 Gbps upload) and is intended as a fiber access extension for FTTB installations as it uses the existing coaxial cabling. In:xtnd coexists with DOCSIS and traditional TV and is also useful for 5G fixed-mobile convergence. “The Diamond Technology Award confirms that we have achieved what we wanted to accomplish: A total solution for networking services that is easily installed. In:xtnd is a ground-breaking new offering that allows operators to accelerate the deployment of gigabit services and allows consumers to access new emerging high-speed applications,” said Peter Carlsson, CEO of InCoax.